Recently, I have been playing with my Keybase account, and I thought I would weigh in on my thoughts about it compared to the PGP Web of Trust (WoT). You have the correct key of the person to whom you wish to communicate. You have verified that the owner of that key is who they claim to be. I have verified Adam's identity and confirmed I have his correct key. I cryptographically signed his key as a statement of this verification. Adam cryptographically signed Bruce's key, issuing a similar statement. I haven't met Bruce, but I have met Adam, and trust him. Through Adam, I can make a statement about Bruce's claim to identity. In practice, if I wished to communicate securely with Bruce, I would see if Bruce's key has signatures of individuals that I have cryptographically signed. If so, I can make a weak statement about his identity, and the ownership of his key through that signature. From that standpoint, I can then determine if I wish to communicate securely with Bruce, or not. Since using GnuPG these past 10 years, I have probably really used the PGP WoT only 2-3 times. 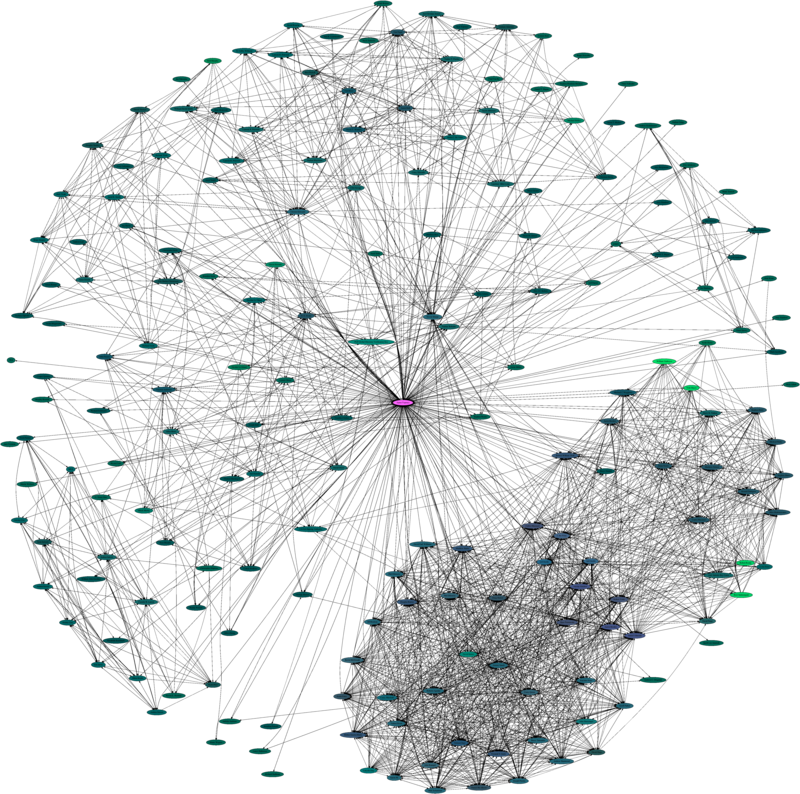 Other than that, it makes for a sweet-looking directed graph. Keybase is not a PGP WoT replacement. IE, it's not here to replace key signing parties, and it's not a tool for signing other's keys. However, Keybase does make strong statements regarding key ownership and identity. In fact, Keybase has given up on the PGP Wot entirely. Rather than validating government issued identification cards in person, Keybase solves identity through online social proofs. This is handled by what you have accomplished online and how long you have been using the account. Looking first and accomplishing online tasks. When a user signs up for an account at Keybase, they need to prove identities that they own on the web. This is done by inserting some text at the online account, then cryptographically signing it with your private PGP key, and storing the signature at Keybase. This establishes a relationship between the owner of the PGP key and the online account. The more online accounts that the user can establish, the stronger the proof of identity for that individual. For each of these accounts, I can pull down the notice, and verify the signature. Thus, each online account becomes coupled with the owner's PGP key. But, it's important to understand that this is making a statement of online activity. IE- "This is my Twitter account @AaronToponce, and I am Aaron Toponce." Once the accounts have been proved, you can then make statements about other identities through "tracking". Tracking on Keybase is similar to "following" on other social sites, but it's actually cryptographically useful. Each account has a database object of their online identities (all cryptographically signed remember), among other data, including who they are tracking, and who is tracking them. When you track someone, you cryptographically sign their identity with your personal PGP key. The previous signature is part of that identity, as well as the current signature. Each time someone is tracked, their identity gets cryptographically updated, and anyone can see when those signatures took place. Think of tracking like cryptographic snapshots, or digital photographs. Tracking is useful for people whom you wish to communicate, are interested in "following" them online. By looking at the previous snapshots, you can get a sense of the age of that account. The older the account, and the more people tracking the account, the stronger the statement of identity, and that the account has not been compromised. Should the account get compromised at any time, people can revoke their tracking snapshot, thus removing the statement of identity. Will Keybase improve the overall PGP WoT? I hope so. Currently, the accounts that you can make verifiable proofs with are limited, and you'll notice the Big Players like Google, Facebook, and Pinterest are missing. Currently Keybase is in limited invite-only alpha testing, so it makes sense why those accounts are have not been brought into the system yet. However, Keybase will remain only a "geek it up" thing until those services are included in identity proofs. So, if Keybase wants to improve things with PGP in general, it must get those accounts on board, or it won't make a ripple in the world at large. Oh, and the Keybase client is Free Software. Posted by Aaron Toponce on Wednesday, December 31, 2014, at 2:16 am. Filed under Cryptology, Security. Follow any responses to this post with its comments RSS feed. You can post a comment or trackback from your blog. For IM, Email or Microblogs, here is the Shortlink.